Our skin changes as the years go by - and so should our skin care routine. Here is some advice to help you look your best at every age. If you haven't already started a beauty regimen, now's the time. It's important to develop good skin care habits early on because they will help you look your best for years to come. Choose products that suit your skin type. 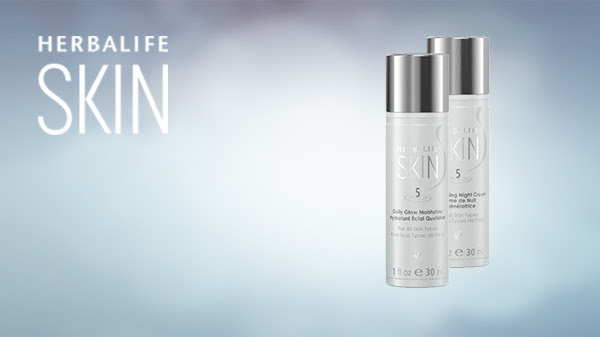 It's important to cleanse, tone, moisturize and protect your skin with SPF every day. If your skin is prone to blemishes or if the size of your pores is a concern, be sure to use a mask. No matter how tired you are, it's important for both men and women to cleanse their skin before bedtime. This is when you may start noticing the first signs of aging. Your skin starts to lose collagen and elastin and a few fine lines might appear. You may need to change your regimen to include more moisturizing products, including a revitalizing night cream that will provide hydration while you sleep. And if you haven't explored a good line-minimizing serum, you should. Anti-aging products help with correction and prevention and now is the time to take those preventative measures. It's common to start seeing signs of aging around your eyes, too. This is the decade when you should consider adding an extra step in your regimen to focus specifically on the skin around your eyes. An eye gel is perfect for daytime use and will help firm the skin around the eyes. And, a richer, hydrating eye cream will be perfect for nighttime use. In your 40s, uneven skin tone is one of the most common complaints women have. This can be caused by too many hours in the sun resulting in age spots. It can also be a throwback to pregnancy. Other hormonal changes during this decade and the possible onset of menopause for women could leave you wondering where your youthful skin went. If you aren't already exfoliating on a weekly basis, get started. Proper exfoliation helps to remove the dead and dying skin cells from the surface, revealing newer skin cells beneath. Our natural exfoliation does slow down as we age and men and women alike can benefit from a good scrubbing. If wrinkles are a concern, be sure to introduce a line- minimizing serum. If the firmness of your skin is not what it used to be, grab a purifying mint clay mask. Small changes add up so just a few tweaks can help you regain control of your skin. A crucial element to skin care as you age is moisturizing. By the time you hit your 50s, your skin is losing its elasticity and you may start to see sagging. Though you can't turn back the clock, you can keep your skin (and yourself) hydrated. So, drink lots of water to keep hydrated inside and out. And stay on top of your skin care regimen. Make sure that you are focusing on your entire body, especially your neck and throat and backs of your hands. Daytime and nighttime moisturizers are non-negotiable in your 50s and a good line-minimizing serum should be your best friend. Eye protection is essential and a good night's sleep can definitely give you a freshened appearance. Your daily skin care regimen should never be compromised and should be a priority if you want to look your best. We can't stop aging, but we can age gracefully and beautifully. Getting started on a healthy skin care regimen in your early years is the best way to ensure a lifetime of fabulous skin. Once you have identified a new concern for yourself, as they are different for everyone, seek out the right product to help. Remember,a proper skin care regimen coupled with good nutrition and a healthy active lifestyle is the real fountain of youth. If you look good on the outside and feel good on the inside, that confidence will show in your appearance - no matter what your age. Written by beauty expert, Jacquie Carter. Jacquie is Director of Outer Nutrition at Herbalife. Regardless of whether your skin type is dry, oily, normal or even sensitive, moisturising should be an integral part of your skincare routine. Moisturisers seals the moisture in and regulates the oil levels in the skin that's why even if you're prone to acne, or breakouts, you should still use a moisturiser. 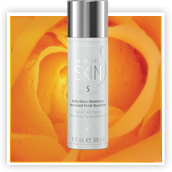 The key lies in using a well-formulated moisturiser on a regular basis and applying it properly. To maximize the benefits that moisturisers can offer to your skin, moisturise in the morning after you shower when your skin is clean and hydrated and at night since the skin rejuvenates itself while you sleep. Herbalife offers the Daily Glow Moisturiser, an all-purpose hydrating lotion with illuminating properties to give your face a healthy glow. Skin looks radiant, even without makeup. The other one is the Replenishing Night Cream, this rich, luxurious cream helps deliver much needed moisture to the skin at night. Long-term hydration allows you to awaken with softer, smoother skin. Use these 2 Moisturisers day and night with appropriate amount, 2 to 4 pumps, to help ensure a healthy and hydrated skin for years to come. Q: What is the best way to apply moisturiser to my skin? Is there some special trick I should know about? A: Applying moisturiser to your face takes a bit of practice to ensure you are using the right amount of product and that you are covering all areas that need to be covered. I have found two successful ways of applying creams and lotions. Hopefully one will be perfect for you. The first is the 5 dot method. For this practice you simply pump your moisturiser onto your fingertip. Then, place 5 dots of product on your face; one dot on your forehead, nose, chin and each cheek. Once the dots are in place you simply blend outwards and upwards against gravity until all areas are covered. 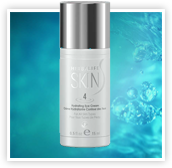 Based on the condition of your skin you will be able to determine if 1 pump of product is enough. The second way to apply moisturiser is to pump the product into the palm of your clean hand. I would start with just one pump at first. Rub your palms together about 2 to 3 times. This will ultimately warm the product up a bit for when you massage into your skin. You can start with your cheeks which are usually the dryest, move up to your forehead, nose and end with your chin. If you have ever had a facial this is probably how your product was applied. Give each method a try and see which one you prefer! Dry, chapped lips are something we all experience at one time or another. Our lips are sensitive and need to be protected. Elements like the sun, the wind, dry and cold weather conditions can really affect our lips. It’s time to take charge and say goodbye to chapped lips! The cold winter weather can wreak havoc on our skin and especially our lips. So here are my top five tips to keep your lips in their most kissable condition and ready for party season! Our lips have a very thin outer layer of skin and they contain little melanin, which is necessary for protection against the sun’s rays. Always protect your lips from the sun by applying a lip product with SPF UVA/UVB protection. I keep one in my bag, one in my car, one at my desk … always within reach. Our lips are so vulnerable; we must remember to keep them protected. I drink a lot of green tea and water throughout the day because chapped lips are an indicator that your body is dehydrated and needs water. So fill your glass full and drink up! Our lips lack in both sweat and oil glands making them susceptible to dehydration. We tend to lick our lips as they begin to dry out. And while this may provide temporary relief, the reality is it can worsen the condition. As our saliva quickly evaporates, our lips are left even drier than before. It’s a vicious cycle that we have to break. Try to resist the temptation and keep reapplying your lip product instead of licking your lips throughout the day. Believe it or not, vitamin deficiencies can affect our entire body both inside and out. And, these deficiencies can lead to chapped lips. Be sure to eat a varied, healthy diet and consider taking a daily multivitamin that includes vitamins B, C and E to nurture your lips from the inside out. A healthy diet that includes essential fatty acids is also important when it comes to our lips. If we are deficient in essential fatty acids the chances are that our lips will be affected. Some healthy food choices include fresh fruits and vegetables, fish, whole grains and olive oil. And I choose to take an Omega 3 supplement because Omega 3’s are amazing for our skin and lips. Follow these simple tips and you too can avoid dry, chapped lips and instead enjoy healthy, happy, kissable lips.